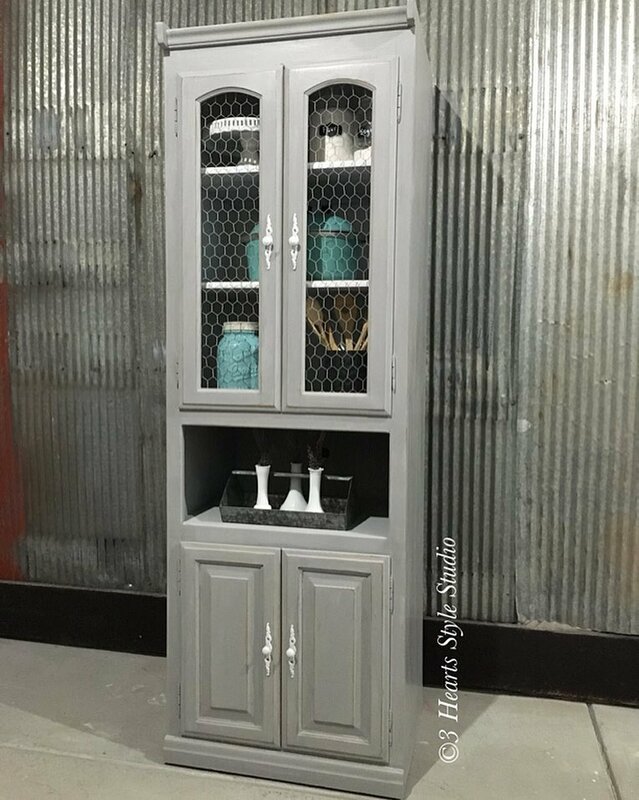 Hutches and cabinets with chicken wire are some of my favorite things. I love the rustic farmhouse vibe it gives to furniture! Word to the wise: If you plan on tackling this DIY project I suggest wearing gloves and using an air compressor staple gun! Makes the process so much easier and less painful ;) Here is a small collection of some of my most recent projects using the stuff! Which is your favorite?